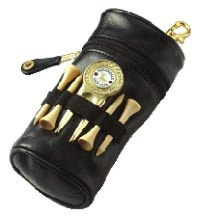 Promotional and unique golf gifts, for all occasions. Come summer and you will find everybody heading towards the greens to indulge in their favourite sport. With so many golfing enthusiasts mingling and roaming around at the same venue, simply handing out a few unique golf gifts is the easiest and quickest way to attract a whole lot of attention. Golf and business go hand in hand with many business people negotiating and making deals on the golf course itself. In such an environment, your corporate golf gifts are sure to receive special attention by the players as well as the onlookers. Golf themed desk accessories such as pen holders, office stationery holders and paper weights are versatile, inexpensive and effective. Picture frames or business card stands that feature something associated with golf are also sure to be appreciated by anybody. Because they are more generic in nature, you know they will be appreciated and used by everybody, even non-golfers. Moreover, they are quite inexpensive, so you can give them away freely without worrying too much. You can’t go wrong with personalized golf towels. They come in useful for golfers and even for non-golfers so you know that your towel will definitely be used and not thrown away in a corner. The best way to personalize towels is by monogramming it with your company initials. While less is more for most things, the same cannot be said of golf balls. Anybody who’s played golf knows that you can never have enough of these little white balls. They keep getting lost and golfers find themselves having to buy new golf balls every so often. You know your recipient will be very grateful to you for a gift like this. As an advertising medium, personalized golf t shirts give you most bang for your buck. They do not cost as much as most other golfing accessories and when worn by a golfer during a game everybody can get a good look at your company name, logo and contact details over an extended period of time. The longer your company name is out there for all to see, the more people that are likely to see it and the longer they are likely to remember it. That’s exactly what you want! Inclement weather is the bane of all golfers. Sometimes it’s the rain that plays spoilt sport and other times it’s the rain that holds up the game. 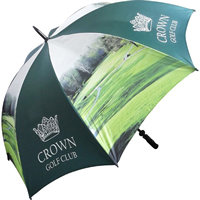 With a golfing umbrella, you know the game will go on and the players are sure to be grateful to you for a long time for your thoughtfulness. Anybody who’s had a taste of the golfing lifestyle will find it difficult to give it up. They will in fact find themselves on the greens whenever time permits, even making business deals in between the game. Giving out unique golf gifts to golfing enthusiasts will help make your brand name a household name that people will immediately recognise. Finally, I hope that this information will help inspire you with ideas for your next promotion or event. We have over 16yrs experience in a wide range of promotional products including golf products and across many different sectors.So if you need further advice, help or have a question please do contact us, we’d love to hear from you.